Flute and Guitar. Composed by Various. Edited by Michael Karp. Woodwind Ensemble. Duet, Collection, Classical, Romantic. 64 pages. G. Schirmer #ED3209. 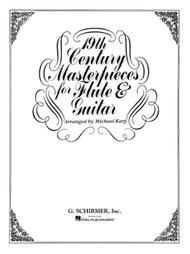 Published by G. Schirmer (HL.50334840). 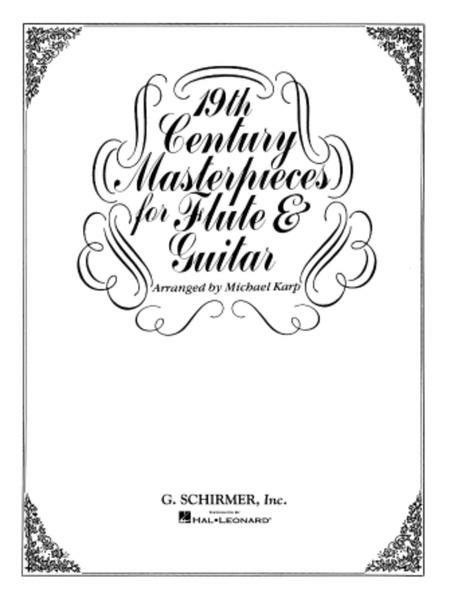 Compiled and arranged by Michael Karp. Contents: THOMAS: Entr'acte • PONCHIELLI: Dance of the Hours • BIZET: Andantino • GRIEG: Humoreske • GOUNOD: Funeral March of a Marionette • MACDOWELL: To A Wild Rose • TCHAIKOVSKY: Song of the Lark • CHOPIN: Waltz • GRIEG: Norwegian Dance • ELGAR: Pomp and Circumstance March • SCHUBERT: Serenade • DVORÁK: Humoreske • BORODIN: Polovetsian Dance • BRAHMS: Hungarian Dance • CHOPIN: Nocturne • FAURÉ: Pavane • GRIEG: Anitra's Dance.